b5Studio: It's not easy being green. Green. The color surrounds us. Trees, traffic lights, Mountain Dew. It is vast and varied. It is said all greens go together. There are bugs in that green. You wanted green rugs and I found them. Green in all of it's glory. 12 rugs in as many styles as shades of green. 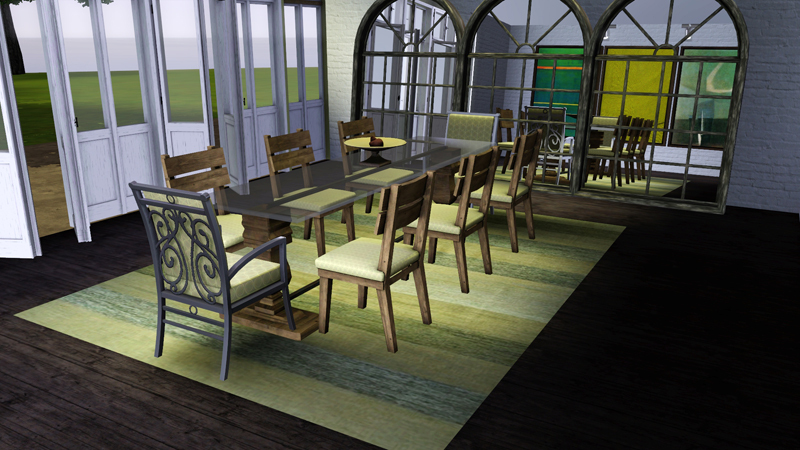 Now you can have green to warm your sims floors. Oh, and don't go getting any ideas for purple or pink rugs. to find a significant selection in the monochromes . . .
Let green show you that there is harmony in one color. I, and the sims I vicariously decorate through, thank you for all these gorgeous, gorgeous things. Hi Bau! It's me, Amoebyte. 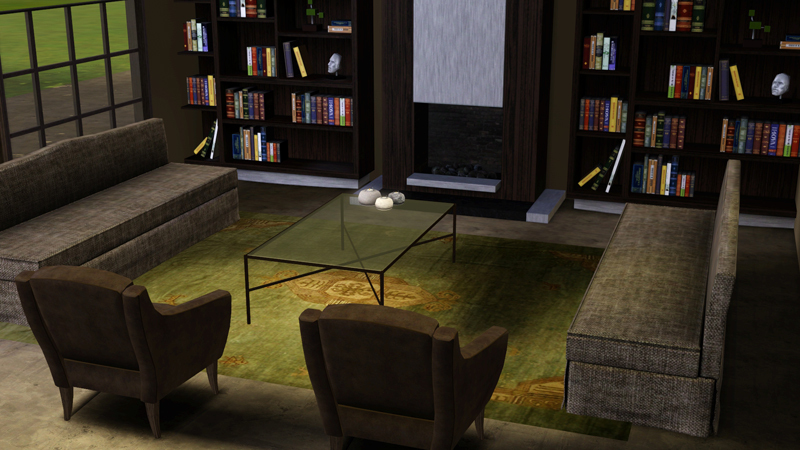 I love the rugs. Thank you so much for making, and sharing these with the public. Green is one of my fav colors: I wear it in much of my clothing! These are wonderful. 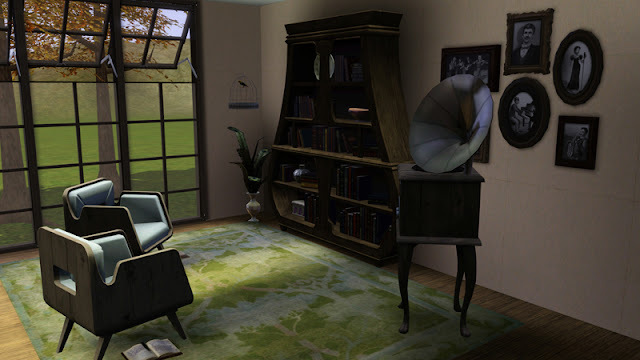 Your stuff makes my Sims' homes so much more awesome! Thanks for sharing your talents once again. I will never tire of you, bau. Oooh, ther are so beautiful, thank you so much for sharing!!! Thanks Bau-meister!! You da man. These are fabulous! And thank you so much for adding links to the other furnishings. You're a sweetheart! Oh! Can you share the source of those armchairs in Pic 2? They look familiar. Are they an EA store item? Hey everyone - thanks for your very kind words - who knew green was so popular! Really - thank you - I have been out of sorts lately and this was a very nice surprise to see how much this tiny set was well received. To answer the CC question - fertilepress: the armchairs are actually EA - believe it or not those came from the HELs stuff pack - it actually had useful items in it! Can't wait to use these green rugs in my game... I am an addict of your rugs already! Thanks! 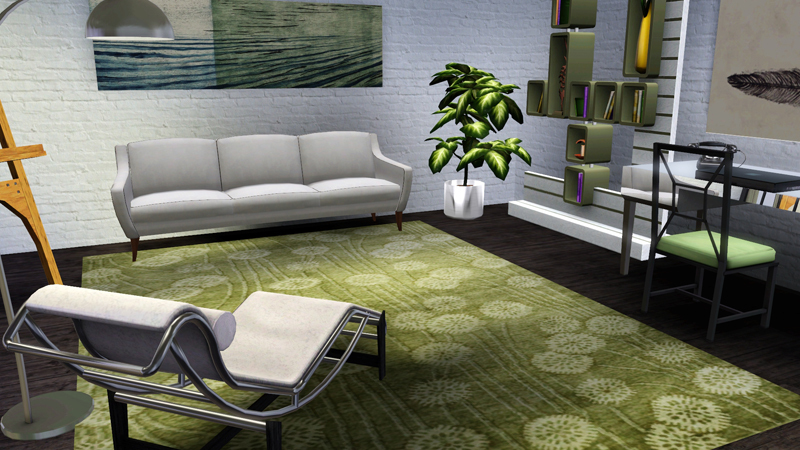 I love green rugs. Don't tell my fiancée, LOL. Yummy new rugs! I am swooning over the green. They make a great combination with the blue ones you released a little while ago. Glad to see some more creations from you Bau. You are perfection as always and I adore you. I feel inspired to go crazy decorating or making a new painting set or SOMETHING.